Tweet What’s the saying? Never make a movie with kids or animals, something like that? 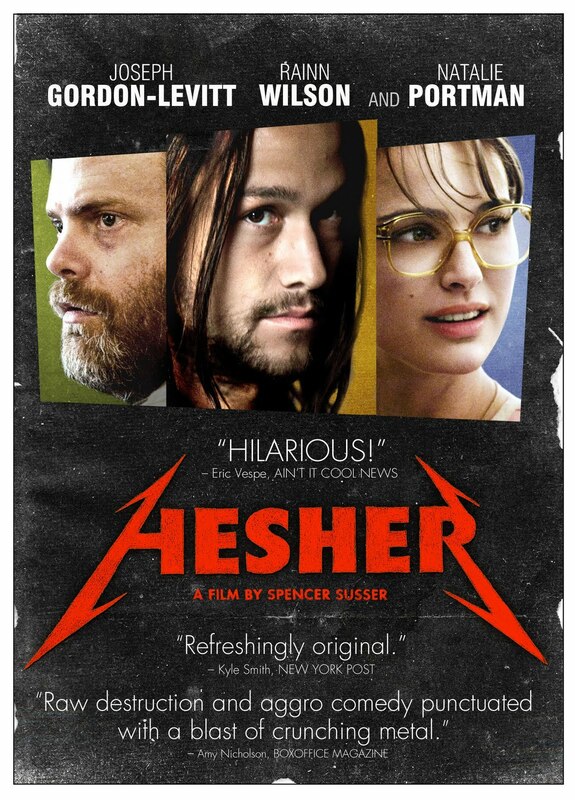 I guess Devin Brochu is a teenager, but still the incredibly dark but heart warming movie “Hesher” starring Joseph Gordon-Levitt, Natalie Portman, and Rainn Wilson was carried by the young talent Devin Brochu. Levitt, Portman and Wilson were all amazing, but if Devin Brochu couldn’t hold this movie together, their performance would have been all for not. Recently I got the chance to chat with Devin Brochu, check out the chat below. Zoiks! : Hey Devin, how are you doing? Devin Brochu: I’m pretty good, how about you? Z! : Pretty good, thanks for taking the time to chat with us. DB: I originally went out for an audition; I got called back a couple of times. I met Spencer (Susser, director). Then I actually went to about five more auditions with Spencer and then Joe (Gordin-Levitt) and after about 7 times I finally booked it. Z! : There are several amazing actors in this movie, but no matter how good they were, this movie all came down to how good you were, and you were fantastic by the way. Did you feel the pressure of carrying the movie and how did you deal with that? DB: I definitely knew that I had to be great, because like you said the movie revolved around me. There wasn’t too much pressure, because I knew what I was doing and I worked hard with Spencer and he really helped me understand who TJ was, so I didn’t feel too much pressure. Z! : How was Spencer as a director? DB: He was awesome, he really helped me out. He was just really fun to work with, a great director. Z! : There were some pretty intense scenes in the film, was shooting the movie pretty intense? DB: When we got into the scenes, it was really intense and hard, but in between takes and behind the cameras it was pretty light and fun. Z! : You got to work with some great actors in this movie, what was it like working with Natalie Portman? DB: She was amazing. I remember this one time; you know that one scene in the car where she gets emotional after getting the ticket? DB: I have to get emotional after that too and she made it really easy, because the first we did that take she got full into character and I didn’t even really need to do anything I just needed to pull of her. I am really lucky to have gotten to work with such great actors, I’m really fortunate. Z! : All of the main stars played against type, none more so than Rainn Wilson. Can you tell us a little but about working with him? DB: He was amazing. It was something different for him because he’s known for comedy. While we were shooting everyday he was always in character, but at lunch and around set he was funny Rainn Wilson. It was awesome. Z! : Joseph Gordon-Levitt played a really dark character. Was he able to jump in and out of character or did he pretty much stay in character the whole time? DB: He stayed in character between takes, but he didn’t stay like that the whole day, he just did it between takes. Z! : Metallica along with other metal bands is featured through out the movie, what kind of music are you normally into? DB: I’m definitely into rock, I love Metallica and all kinds of rock, classic rock, indie rock. I actually play guitar, so I love the music in the movie and we were really fortunate that Metallica let us use a bunch of their songs, because the movie wouldn’t have been the same with out them. Z! : At what point did Metallica offer up their songs, was it from the get go or after the fact? DB: I’m not completely sure, but I think that Spencer just sent them the script and they were like, ‘yeah sure.’ I’m not 100% sure though. Z! : You mentioned that you were a guitar player, who are some of your influences? DB: I definitely love Led Zeppelin. I love Jimi Hendrix, I like Metallica. I love a lot of people, I could go on and on but those are the main influences. Z! : So five years from now is Devin Brochu a rock star or an actor? DB: I want to get more involved with music, maybe start a little band or something, but definitely acting. Z! : How did you make you way into acting? DB: I was born in Florida. It’s actually a weird story, I was just another kid in Florida and people started telling me I should go into modeling or acting, I should get into the business. One year my mom and me just came out to California and started modeling. From there I just somehow got into acting. I’m lucky that I got into this, because I don’t know what I’d be doing today. Z! : What did your friends think of the movie? DB: They loved it. They thought it was a good movie. Z! : is school difficult while shooting a movie or even after the movie comes out is it difficult living up to the movie star title in school? DB: Not really, most people at the school know that I act and they know I’m in a movie called “Hesher.” I don’t think people treat me any different for that reason, I mean it’s the same as it was before. Z! : Who are some of your acting influences? DB: Definitely Joe, I’ve learned so much from him and he’s a great mentor. I don’t know if I have specific influences, I don’t just watch a couple of actors. I just learn from other people and today Joe is definitely a major influence. Z! : What are some of your favorite movies? DB: My favorite movie would probably be…I’m into funny movies like “Hangover” and “Step Brothers.” I like those kinds of movies; I don’t really have a favorite movie. Z! : What are you working on now? DB: I actually start shooting this movie called “Project X” in October, it’s another lead, it’s a movie kind of like “Hesher.” Then I’ve been auditioning and trying to meet the right people so after that we’ll see what happens. DB: I don’t think it really has changed. After “Hesher,” people started recognize me and see that I could carry a huge role and you know hopefully get some more roles and go from there. Hopefully this is just the starting point of my career. “Hesher” hits stores in a matter of hours on Blu Ray and DVD. I highly recommend checking this movie out. I have a good feeling that this movie is going to take on a new life on Blu Ray and DVD. 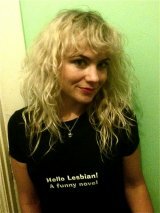 If you don’t want to buy it just yet, then rent it, I promise after you see it, you’ll go out and buy it.